In April we see the first of the Auto-Enrolment contribution increase’s take effect. This report addresses the impact these (along with the April 2019 increases) will have on a consumers disposable income and the knock on effects this will have to the UK savings market. Millions of UK consumers want to save, but have never been taught how. This report looks in detail at how we can help create additional savings each month in tough economic climates in order to ensure that rising pension contributions are met, providers retain projected new assets and opt-out rates don’t rise. 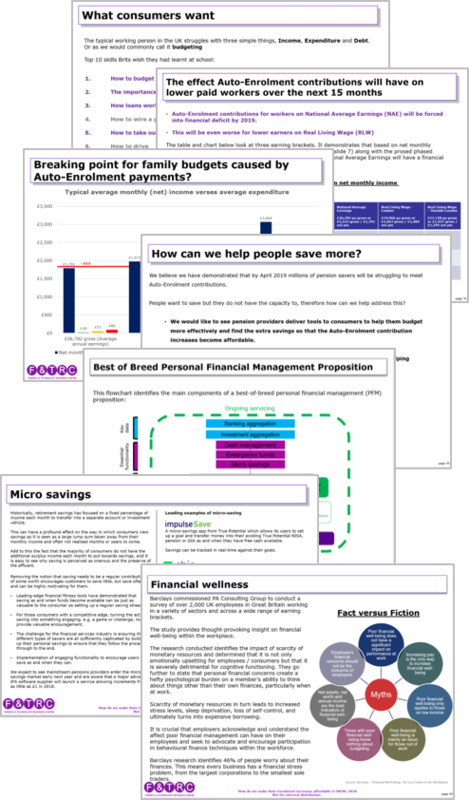 We have produced a focused report to examine what a “best of breed financial wellness model” needs to include in order to address the savings deficit and ensure the continued success of Auto-Enrolment.